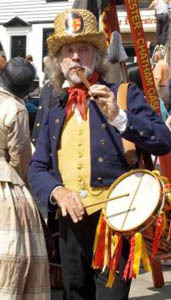 Street entertainment is a feature of the Dickens Festivals. 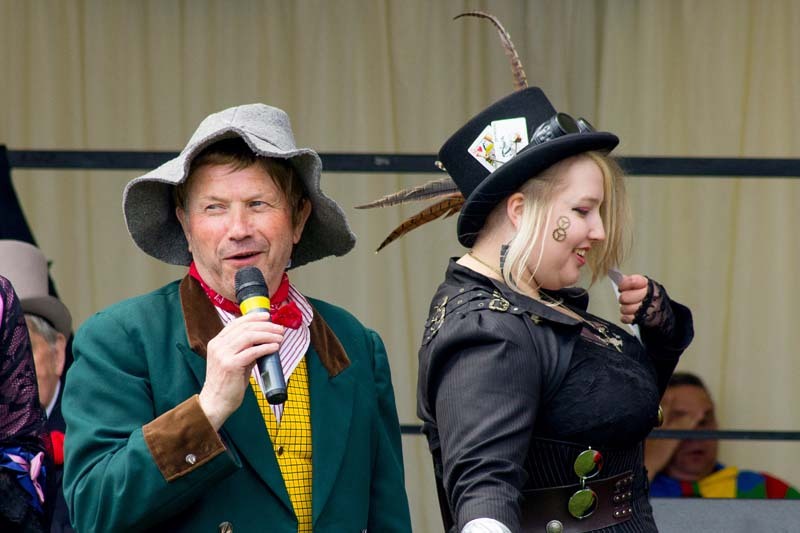 The faces vary from year to year, and when we see an act we like we add it to this page. 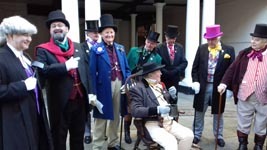 If you are an entertainer at the Rochester Dickens Festival and you would like to have an entry on this page please contact us. 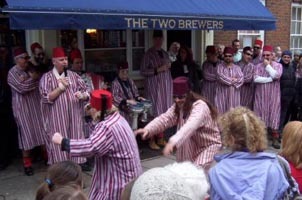 The Fezheads are regularly to be seen, usually accompanied by large crowds! 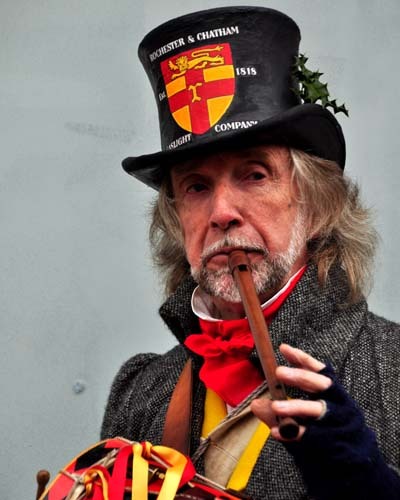 'The Fabulous Fezheads are England's Premier Sand Dance Vaudevillian Illusionists carrying on in the tradition of Old 'Blind Ned' Cleggett* with his famous stage act of the 1920's and 30's, and actually starring his Great-Grandson Pete 'the Flying' Cleggett . 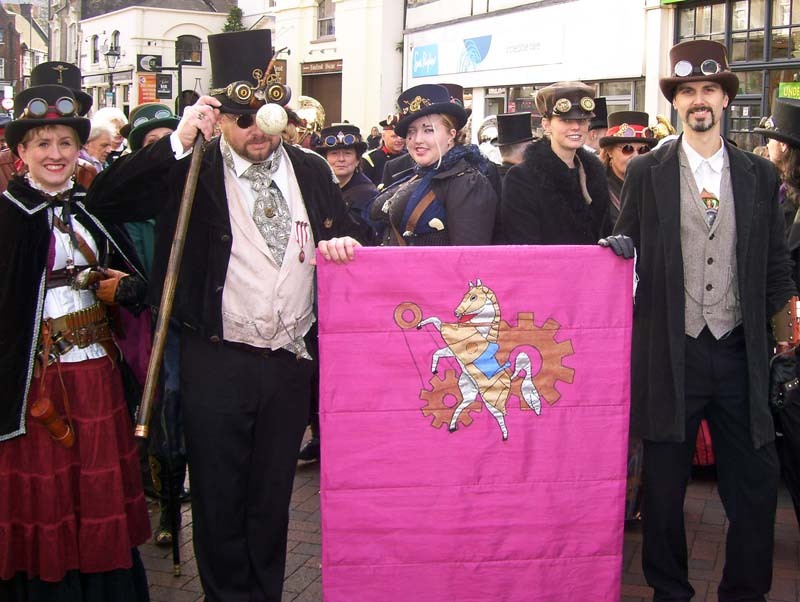 *Read all about Old Ned on the 'Fezheads' website! 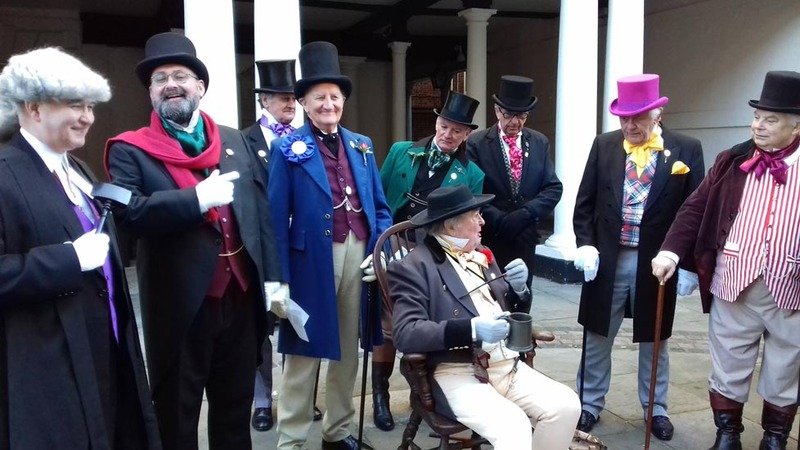 Entertains the crowd whilst undertaking a little light maintenance of the new gas street lamps - the trouble is, some people read more into the songs than they should! 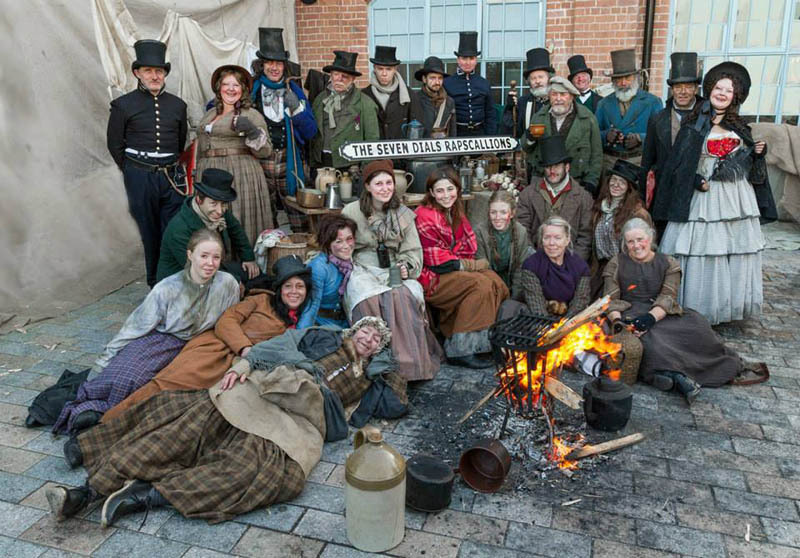 The Seven Dials Rapscallions portray the Victorian underworld as known by Dickens - a motley crew of villains, pickpockets, coster girls and dollymops - with an outnumbered Peeler desperately trying to keep them under control. 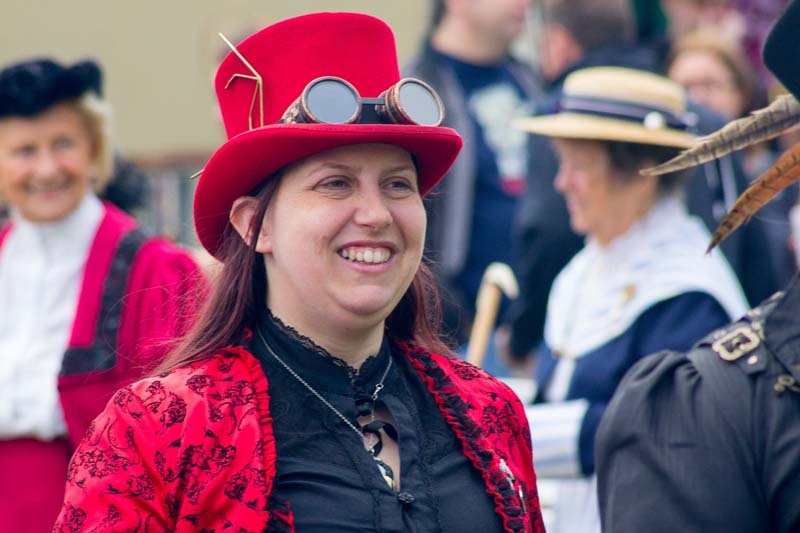 You won't find them in the brochure, but our local steampunk group bring an alternative approach and a lot of fun to the Festival. 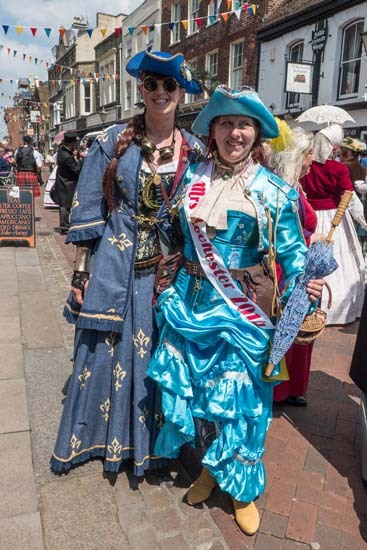 If you don't know about steampunk fashion, you can click on the picture to see some typical steampunk outfits on display at recent festivals.